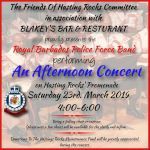 The Friends of the Hastings Rocks Committee, in association with Blakey's Bar and Restaurant presents An Afternoon Concert by the Royal Barbados Police Force Band. Bring a folding chair or cushion. 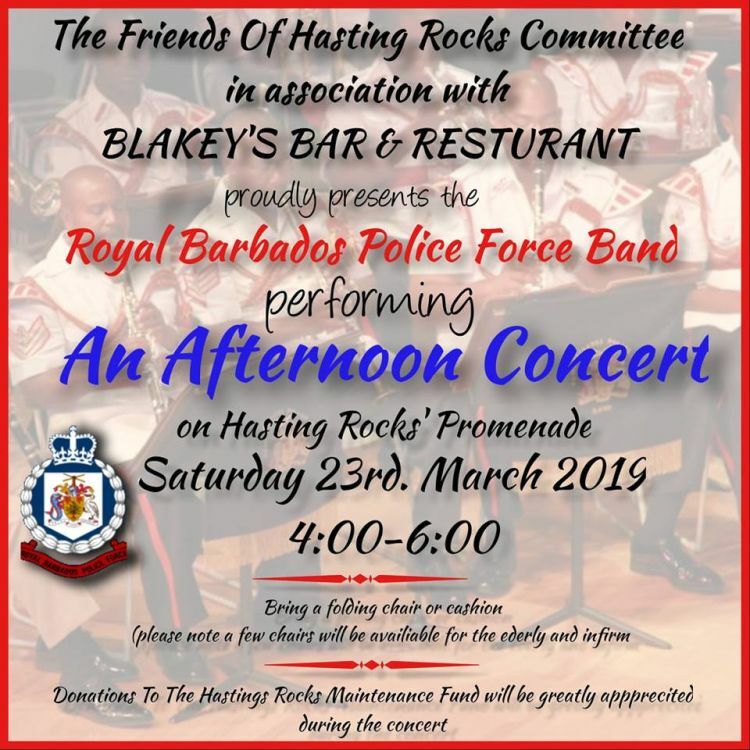 Donations to the Hastings Rocks Maintenance Fund would be appreciated during the concert.